Steinberg was born in Romania. He studied architecture at the Facolta di Architeturra in Milan, which was under the influence of Cubism, and took a doctorate at the Reggio Politecnico in 1940. In the same year his drawings were published in Life magazine and Harper’s Bazaar. 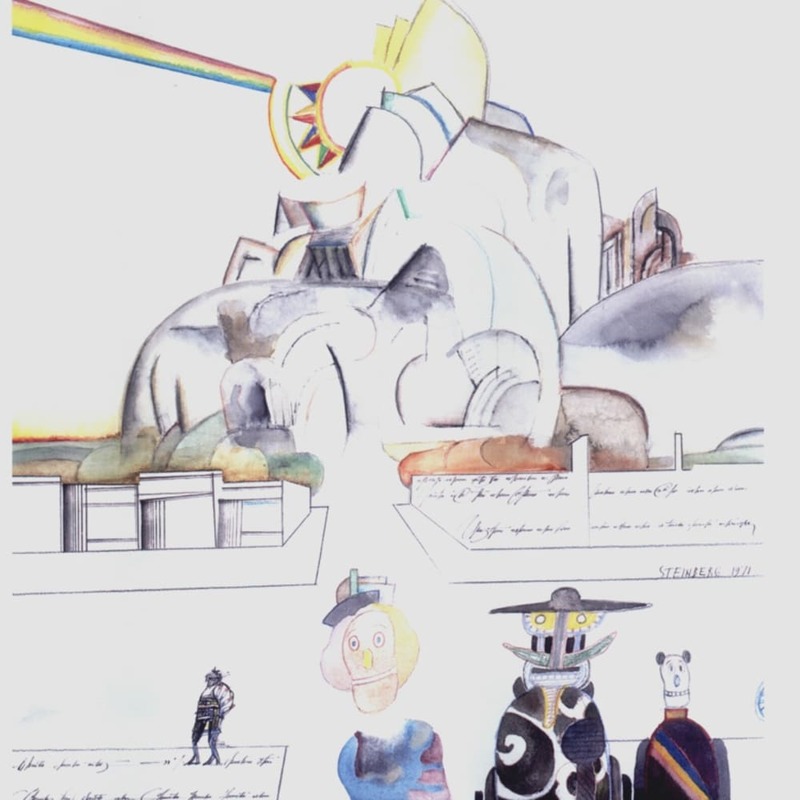 Steinberg went to New York in 1942 to escape the anti-Jewish laws in Italy and had his first one-man show the following year at the Wakefield Gallery. His work can be found in several public collections including the Metropolitan Museum of Art, New York, the Victoria and Albert Museum, London and the Institute of Art, Detroit. Steinberg’s drawings could be described as cartoons. He was a forerunner of the Pop Art movement and his work is often humorous. He borrowed styles from other artists in order to explore social and political systems and human frailties. He used recurring images such as finger-prints, sheet music and punctuation marks as symbols to describe aspects of society.